Payday loan is something you opt for when you need instant cash and other options are not available. It is usually a short-term loan that you take and since it is available at such short notice, it also charges high rates of interest. Emergencies can occur any time in your life and if you need money instantly, Payday loans are thought to be the one of the best solution. However, just like these loans are very convenient and easy to obtain, they also have their down side. You must weigh your options very carefully before you decide to get apply for a payday loan. 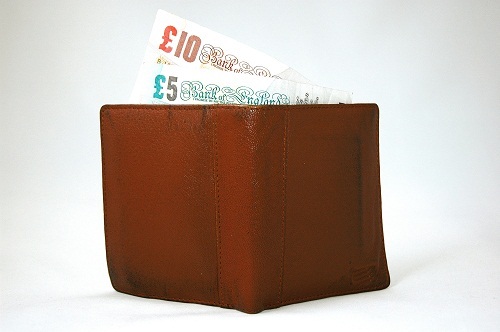 Some Payday loan have been said to charge interest rates of up to 572%. Payday loans are available on a short-term basis (usually 2 weeks) to help you meet a financial emergency until your next payday. You have to repay the loan once you receive your paycheck. The interest rates on these loans are rather high and the main reason for this is that they are available on such short notice. If you need cash fast and are not able to get credit at the bank, you may opt for these loans. How much can you borrow on Payday loans? This depends on the net income that you have after tax deductions. The best part about these loans is that there is no check done on your credit history. While there might be other terms and conditions that govern Payday loans that vary from one company to another, the basic requirement is that you must be 18 years of age or over and employed with the same company for the last 6 months at least. You also need to have a bank account that is at least 6 months old. The rate of interest charged by payday lenders is quite high. It will be anything between 15 and 30% of the amount you borrow. It is then made payable on top of the amount that you have borrowed. The loan companies have their justification for such high rate of interests. The first reason is that these loans are made available to anyone irrespective of the credit history he/she has provided he/she fulfils the basic eligibility criteria. Banks have a very strict procedure of approving loans, which the Payday loan companies don’t. Paperwork is almost minimal in Paypay loans. These are the few advantages that these loans provide to you and these are the main reasons why such high interest rates are charged. There is a lot of controversies surrounding the Payday loan industry and how the loan is used by their clients. Government-funded consumer champion, Consumer Focus claimed that “borrowers are becoming dependent on high-cost credit they cannot afford to repay, People are turning to supposedly “last resort” payday loan companies again and again, rather than using them only in emergencies. The extremely high interest rates charged by the company tends to push people who use them regularly into deeper debt than they were before. UK is not the only country where Payday loan is giving the authorities and consumer organisations concerns. In USA, the Mississippi Senate recently gave final passage to a bill designed to reduce fees on payday loans. It is short-term loan, advanced to the borrower typically till his or her next payday. They are often paid with a post-dated cheque or by instruction given to the lender to make automatic withdrawal from the borrowers account. What sort of people use payday loans? Payday loan users tend to be young and single with below-average incomes, it is estimated that majority of Payday loan users earn below £25,000 per annum however this author came across two instances of Payday loan users with income of of over £40,000. It is also estimated that more than half of borrowers are under 35. How often do people use Payday loans? It is argued that people can get “addicted” to using Payday loan, with an average user returning to the lender about 4 times a year or every 3 months. So how can people get into debt trouble? Not repaying the loan at your next payday can lead to problems. Rolling the loan over to your next payday significantly increases the interest. Other do pay the loan but take out another loan almost immediately. How can I get help if I get into debt trouble? Your local citizen advice bureau should be your first port of call, they will be able to advise you on the best way too move forward.